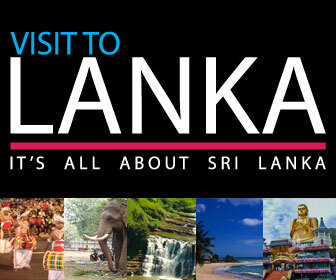 SRI LANKAN NEWS/Latest News Archive View Sri Lankan News by Specific Topic! The Coconut Development Authority (CDA) is planning to introduce a pollution free chimney system to manufacture coconut based activated carbon in Sri Lanka with an investment over Rs 2.5 million . The activated carbon industry is a lucrative foreign exchange earner in Sri Lanka and the CDA is making efforts to introduce pollution free and nontraditional chimney systems to make the entire coconut shell burning process more convenient with less time and efforts. The chimney system will come in different capacity levels and prices. Sri Lanka (238) beat Australia by 9 runs in the 12th ODI match and qualify for the final of the CB series. Lasith Malinga was the pick of the bowlers as he grabbed 4 wickets. Chinese State Councilor and Defense Minister Liang Guanglie said in Beijing on Thursday that China will continue to support Sri Lanka’s efforts in safeguarding state independence, sovereignty and territorial integrity and realizing social and economic development. Sri Lanka shipping industry is geared to face future demands with the building of many international harbours in the country. Institute of Marine Engineering Science and Technology, Bangladesh Branch Secretary Gholan Sarwar speaking to the ‘Daily News Business’ at the 2012 Mid East Division, Council Meeting Sri Lanka at the Mount Lavinia Hotel yesterday, said it is a welcome move to see a new harbour being built in Hambantota. President Mahinda Rajapaksa blessing Maneesha Pathirana on meeting her. Picture by Sudath Silva Maneesha Chamindi, a 12 year old grade seven student of Makuluduwa Vidyalaya, Piliyandala is currently undergoing treatment for cancer. Her one wish in life was to meet President Mahinda Rajapaksa by excelling at the grade 5 scholarship examination. But this wish did not come true as she could not sit for the scholarship exam due to her illness. Sri Lanka has received India’s full backing against the US sponsored motion on Sri Lanka at the UN Human Rights Comission, special human rights envoy Mahinda Samarasinghe has claimed. “We have the full backing from India. They have publicly expressed this assurance,” Samarasinghe, who is leading the Sri Lankan delegation at the UN Human Rights Council sessions in Geneva, said over telephone. The government led protests yesterday against the UNHRC sessions were meaningless and just an attempt to mislead the public and distract them from the internal problems of the country, UNP General Secretary Tissa Attanayake stated. Speaking at a press conference held today (February 28) he stated that the government forcefully made government workers, Samurdhi workers and other parties with connections to the government get onto the streets in protest yesterday (February 27), in view of the UNHRC session in Geneva. NDB Chairman Hemaka Amarasuriya, CEO Russell de Mel The NDB Group’s profit after tax for the year was Rs 2.94 billion, an impressive growth of 35% over the previous year. The profit attributable to shareholders for the year was 2.70 billion and compares with Rs 2.1 billion for 2010, a growth of 29%. This significant increase in group profits was attributable to the growth in the core banking income of NDB by 13% over the previous year and the improved performance of the fee based group companies. * Mahanayakes hold Adhistana pooja * President’s leadership lauded Mammoth protests in Killinochchi, Mullaitivu and Jaffna districts The people in the Northern Province who were held as a human shield by the LTTE terrorists also staged massive demonstrations in the Killinochchi, Mullaitivu and Jaffna districts yesterday. They lauded the government for eradicating terrorism which was sponsored by the some foreign countries in the West to create divisions among communities. These people who underwent a number of hardships in the clutches of LTTE terrorists openly denounced the terrorists for depriving them of their rights for 30 years and condemned attempts by the United States and the West for moving a resolution against Sri Lanka at the UN Human Rights Counci(UNHRC)l session. Tens of thousands of people across the country took to the streets yesterday to condemn a resolution sponsored by the US and the West against Sri Lanka that is to be moved at the 19th United Nations Human Rights Council sessions in Geneva. They voiced their anger over attempts by United States and Western countries to meddle in the internal affairs of the country under the cover of human rights. Islandwide protests, including several in Kilinochchi and Mullaitiviu, were held yesterday against the resolution which is to be presented against the Sri Lankan government at the United Nations Human Rights Council sessions in Geneva. Protestors down South included foreigners. Three senior government Ministers today called upon the people to have an island wide demonstration on February 27, to express their solidarity as a nation with the government and to show their opposition to the external interferences on Sri Lanka’s internal affairs, the Government Information Department stated.